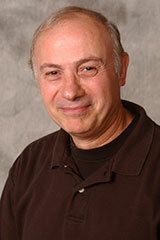 Professor Koveos teaches a range of courses in finance, international business, and global entrepreneurship. Professor Koveos is interested in exploring international financial market behavior, especially as it pertains to economic systems in transition. His current work is on the theory and practice of financial system reform. Much of his research is focused on Asia in general, and China and Shanghai in particular. Koveos is editor of the Journal of Developmental Entrepreneurship, housed in the Whitman School.